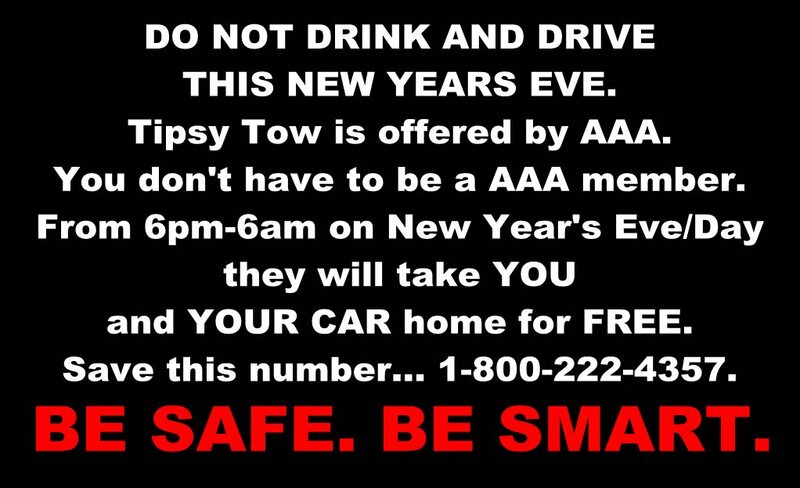 PLEASE do not drink and drive any time, especially tonight! There are a few people offering FREE rides home tonight! AAA's information is below. Robert J DeBry is also offering FREE rides home. The law office of Robert J. DeBry & Associates is committed to helping prevent drunk driving by offering a free ride home program for adults who need a safe way home. To date, the program has been offered during New Year’s Eve, St. Patrick’s Day, Independence Day, Labor Day, Halloween, and more. Adults age 21 and older are eligible to utilize this opportunity and can qualify for up to $35 in reimbursement, which covers the cost for most cab rides in the Salt Lake Metro area. Cab rides will be given from a bar or restaurant to a residence, not to other drinking locations. "I am willing to do whatever it takes to keep drunk drivers off the road this holiday season, even if it means paying for it myself. I see more cases of drunk driving around the holiday season than any other time throughout the year."